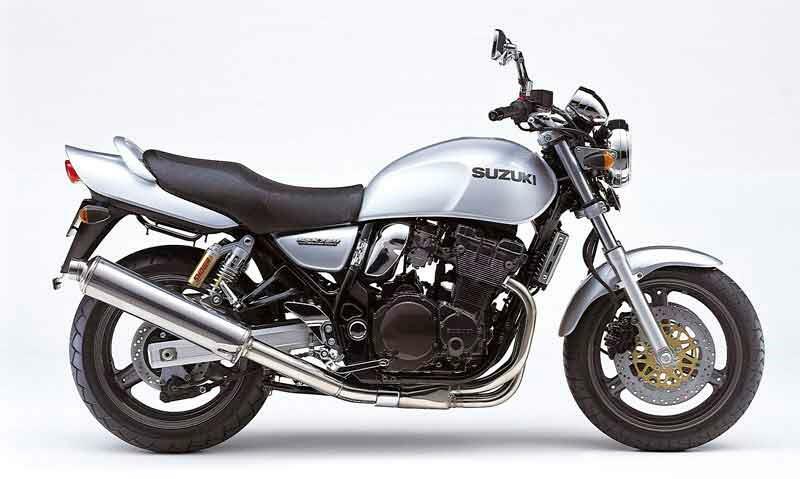 This was Suzuki's answer to the Kawasaki Zephyr 750 and although the Suzuki GSX750 has its admirers, it never really caught on in the UK and there aren't very many about secondhand. The Suzuki GSX750 is a competent performer but the soft suspension and indifferent finish detract from an otherwise user-friendly package. If you ride it slowly the Suzuki GSX750 makes a decent commuter/all rounder, but the suspension is too soft and the front end dives during hard braking. To be fair, the Suzuki GSX750 is as good as many late 90s roadster bikes like the Zephyr, Honda CB750 etc but a Fazer 600 feels like an R1 by comparison. Based on the old GSXR750 from the 80s, the Suzuki GSX750 motor is in a softer state of tune, with smaller carbs, but still has enough poke to get you on to the naughty side of 120mph. Ultimately it doesn't feel much faster than the Bandit 600, which is one reason why the Suzuki GSX750 never proved a strong seller. 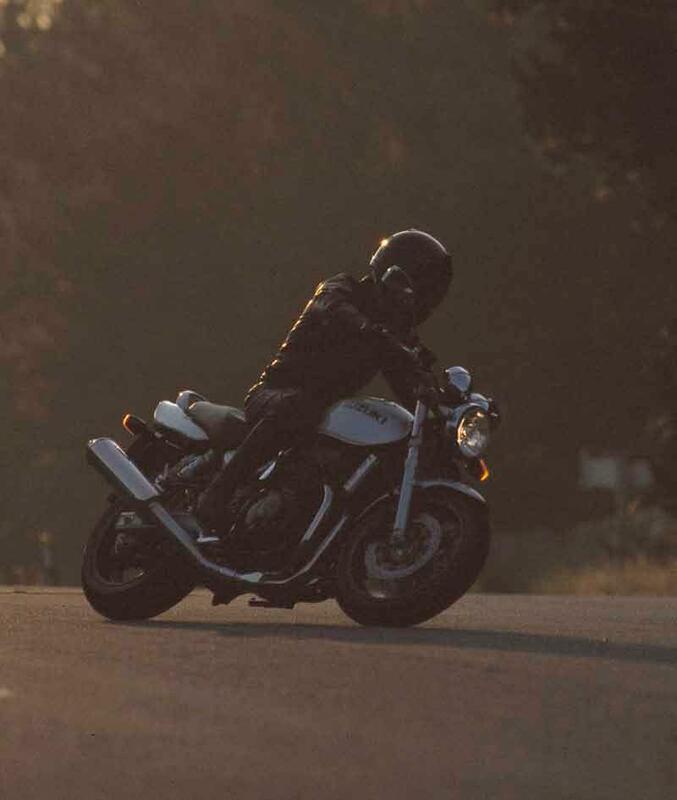 There's no question over the motor, but like the Bandits or GSX750F model, the Suzuki GSX750 roadster can suffer from a patchy finish, which leads to it looking shabby. 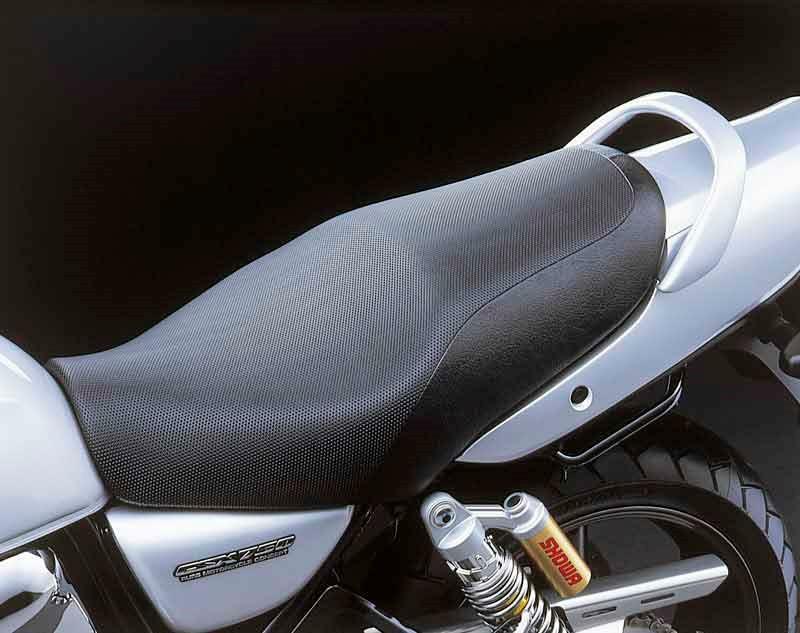 The Suzuki GSX750's downpipes and their linking sections are especially vulnerable to rust. 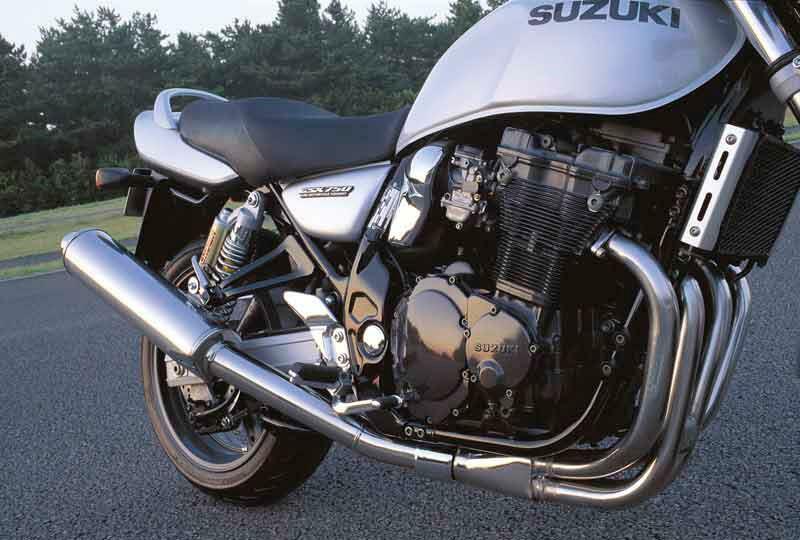 The Suzuki GSX750 is a bit of an oddball, many people mistake it for a Bandit. But when there are so many 600 Bandits around secondhand, offering very similar performance to this model for less money, it starts to get difficult to find a reason to buy a Suzuki GSX750, as pleasant as it is to ride. Find a Suzuki GSX750 for sale. 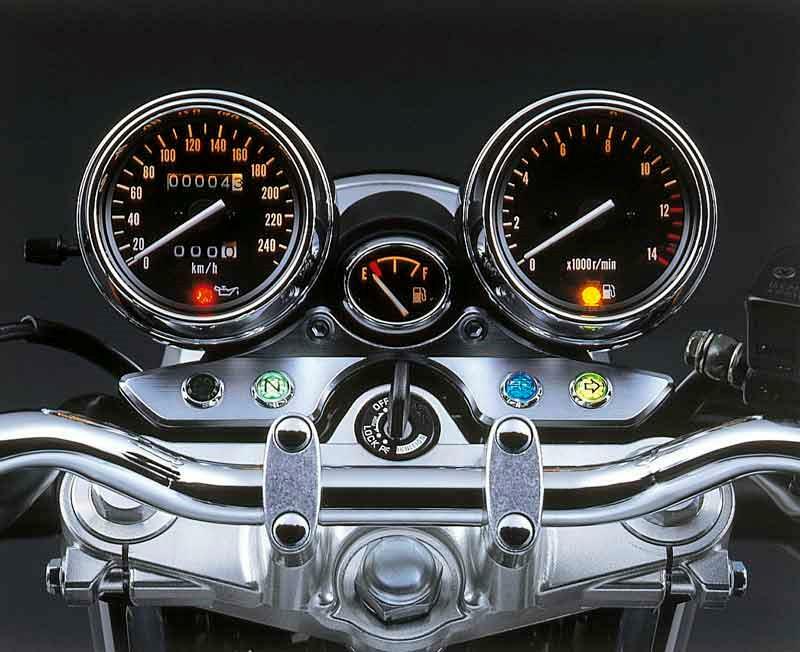 The Suzuki GSX750's retro clocks look good, there's a fuel gauge, centrestand and grabrail - plus the saddle is really comfortable if you want a bike that can handle a 40 mile per day commute. 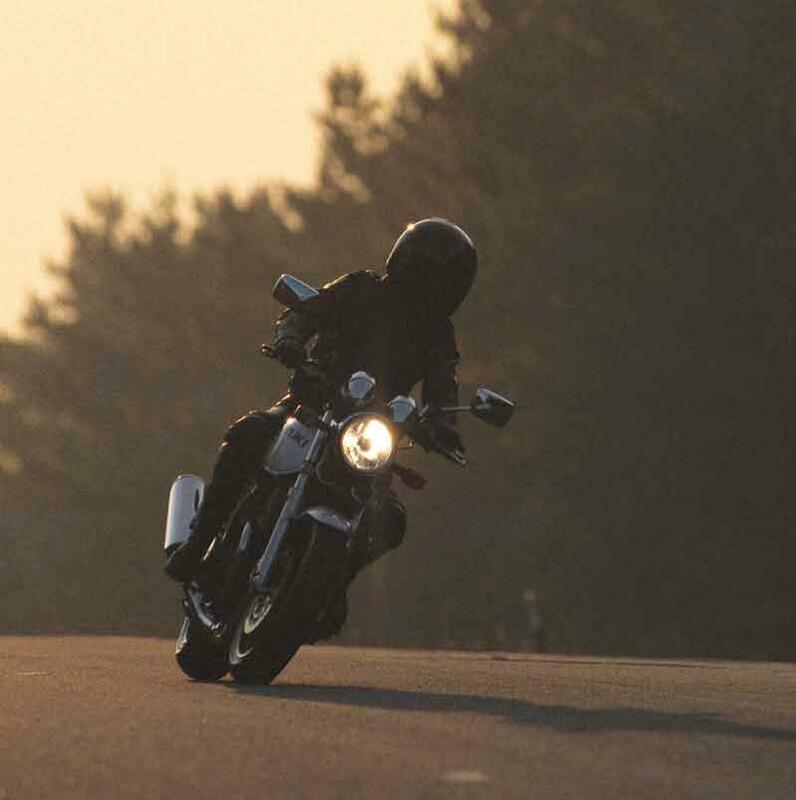 For a roadster the Suzuki GSX750 has all you need, plus some useful extras. 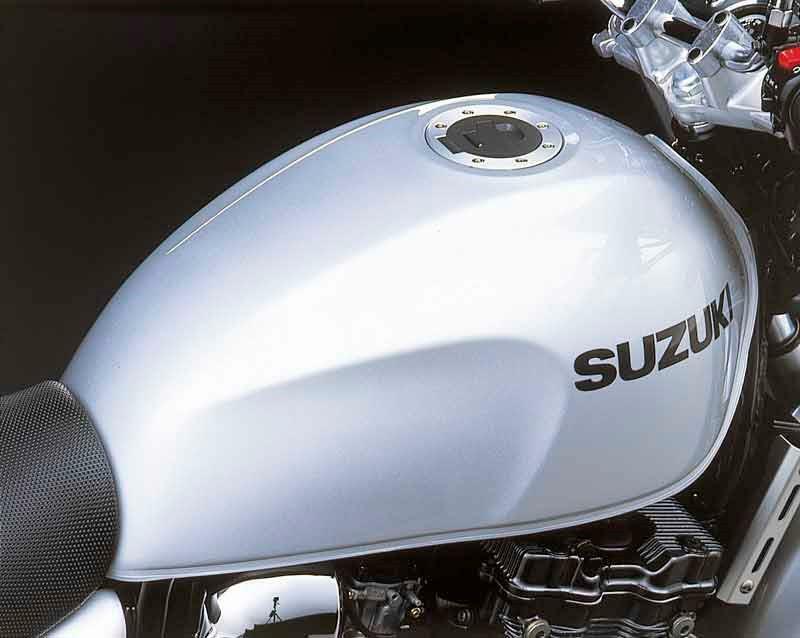 1997: Suzuki GSX750 launched in the UK. 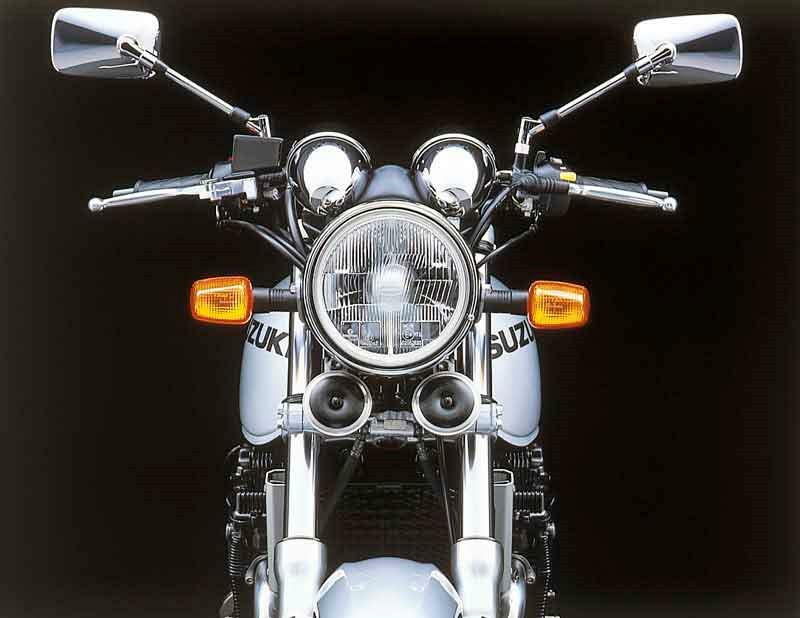 2002: Suzuki GSX750 discontinued from Suzuki GB range. 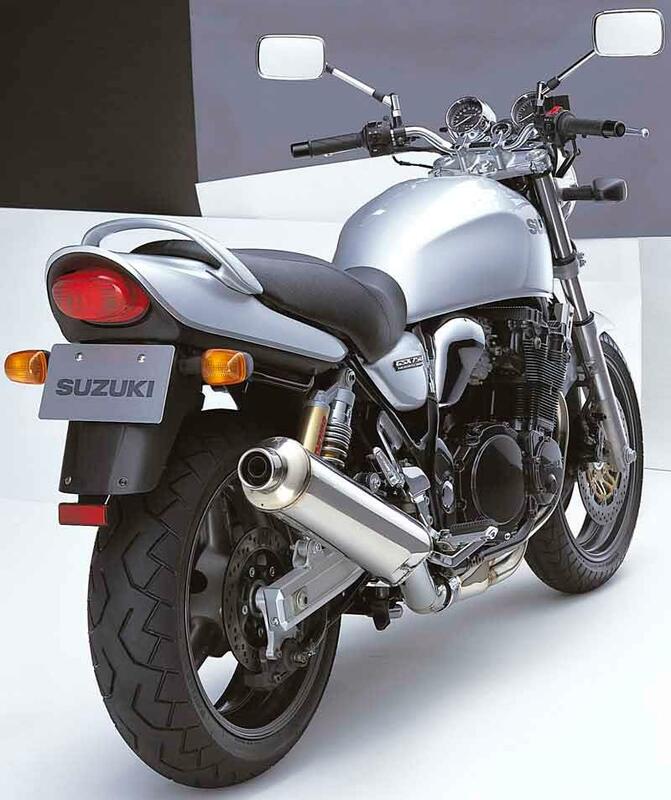 6 owners have reviewed their SUZUKI GSX750 (1997-2002) and rated it in a number of areas. Read what they have to say and what they like and dislike about the bike below. I am the proud owner of a gsx750w i use her for giving bike lessons and for pleasure and would not change her for the world. I have never been let down by this bike in ice snow and rain which we have a lot of in wales she has never failed to start or run all day long the same could not be said for a bandit i once owned which gave me nothing but trouble when cold. Plenty of poke when needed or an all day cruiser this bike is so underated a real same. I've now done about 600 miles on mine in all different conditions, the bike is 10 years old and had 5600miles on the clock (poor girls been locked up all her life). Overall this is an easy bike to live with! Bad points first, The suspension is budget (we all know that but) it dives quite a bit on the brakes which realy upsets it going into a corner and it doesnt do well at speed, push it to 110mph and you get a (steady) speed wobble, you have to fight to keep it straight. Also if you want to change you angle mid-corner you have to jump off the seat and swing on the bars. Hopefully this is all because the fork oil has never been changed and the tyres have a realy steady profile (bt020's) so i'll use some progresive fork spring, new oil and some d208 tyres, might drop the forks through the yokes by 5mm too. Now the good bits, She's pretty! sooo comfy though i'm adding a GS1000S style headlight fairing just for longer and cold jorneys. The finish is pretty good for a suzuki, the engine is almost spotless and the paintwork looks like a brand new bike. The engine is great, not the fastest engine and the top speed is'nt that strong but that's not what it's all about, sit at 2500revs in top gear and wack the throtle open, it gets up to the ton faster than that big grin appers on your face. 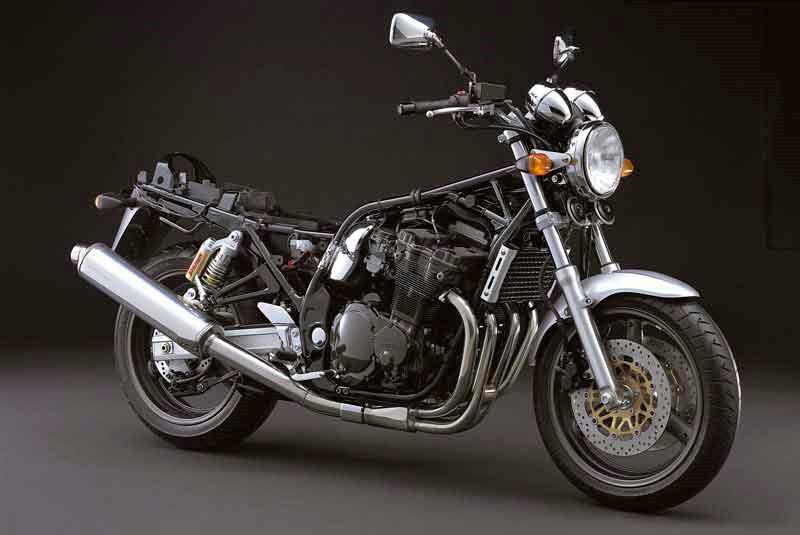 I'd love to see a top gear roll-on comparison with a modern Gixer 750! This bike can sit at 90 all day long. It's got a good tank range and the petrol gauge is handy, good pillion provisions, good size space under the seat etc. 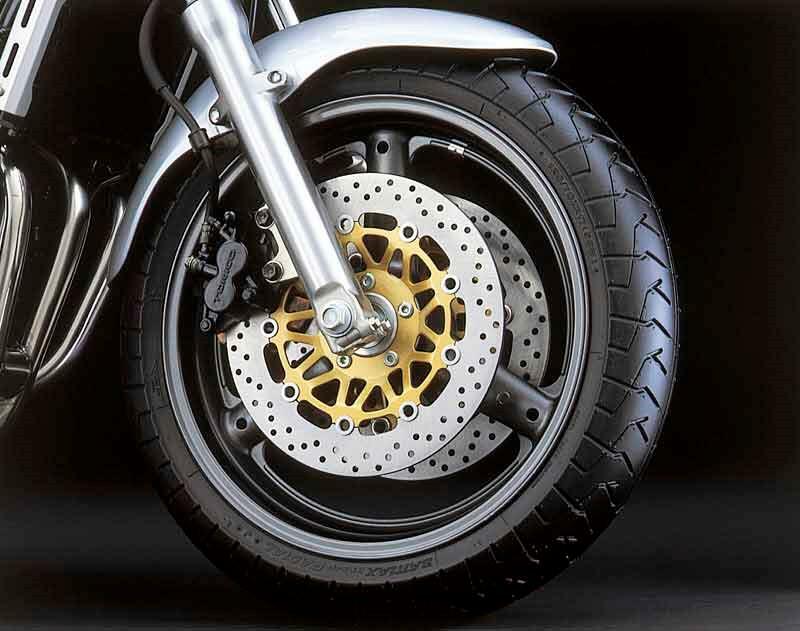 brakes are well ample and rear suspention seems quite nice. I'm well happy I bought this bike and it's increadable value. Don't buy it if you want a sporty retro (maybe something like a Z750 would be better) but if you want a good all rounder that puts a smile on your face, looks good and you can be proud of, it's a winner! I've owned one now for 10 years, using it everyday all year round. It's been superbly reliable and a regular head turner too. Good points are looks (esp in black), a lovely upright riding position, comfortable low seat, great mirrors and a tight turning circle. It makes a great town bike with the added bonus that there are so few around it attracts no interest from thieves. And the engine has an old-fashioned deep growl to it(esp with replacement Arrow can). Best of all though is the peerless and classy styling which looks great from every angle and works as well now as it did 10 years ago. Bad points are few. It takes a good while to warm up and run smoothly on the coldest winter days. The finish is a little patchy: the chrome on the rear springs went off after only a couple of years and the "chrome" clocks are plastic. OTOH the paint still looks really good and there is no rust other than a little pitting on the handlebars and mirror stems. Pretty good considering its kept outside and washed only a couple of times a year. The brakes are a bit soft but improve with braided lines. Reliability. The only real problem has been the front brake calipers which needed a couple of rebuilds after about 7 years. Road salt is probably the culprit. After the first time the calipers had been stripped and blasted clean the piston seals seem to need more frequent replacing which can be expensive. Other than that and routine service parts the only other thing to go in 10 years was a single headlamp bulb. You might like to know that there was also a 1200cc version but it was never officially imported into the UK and I've only ever seen one. So, despite the small number sold I think this is one of the best of the retros. Ironically it was probably a retro before it's time and would do better now the market for nakeds has opened up. Of course it might not blow your skirt up if you like race reps or inter-continental touring but if you want a stunning looking all-rounder, a bike that's fast, good handling, reliable, and practical but doesn't look like a Hondeo or a plastic toy aimed at 8 year old boys make the effort to find one of these beauties. 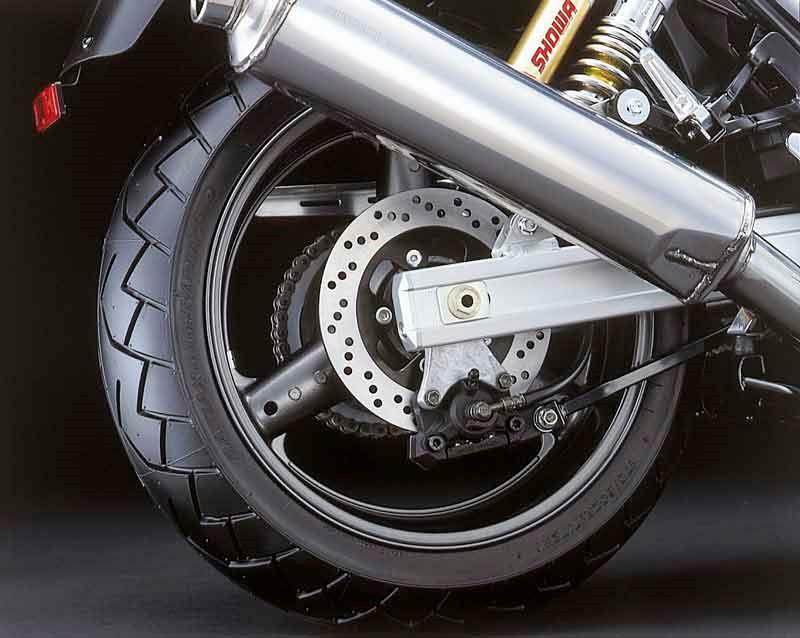 Product advice: Searching for GSX750 spares?